Welcome to share your story. This is your opportunity to share advice or an encouraging story about how you overcame adversity or challenges in your life. You can share as often as you’d like. Here are the rules. You must fill in all the boxes. Your work may or may not be shared on Tru.Works depending on the topic. If your work does fit our categories and criteria you will be contacted via email. Your work will be subject to review and editing to fix punctuation, grammar, and minor mistakes. 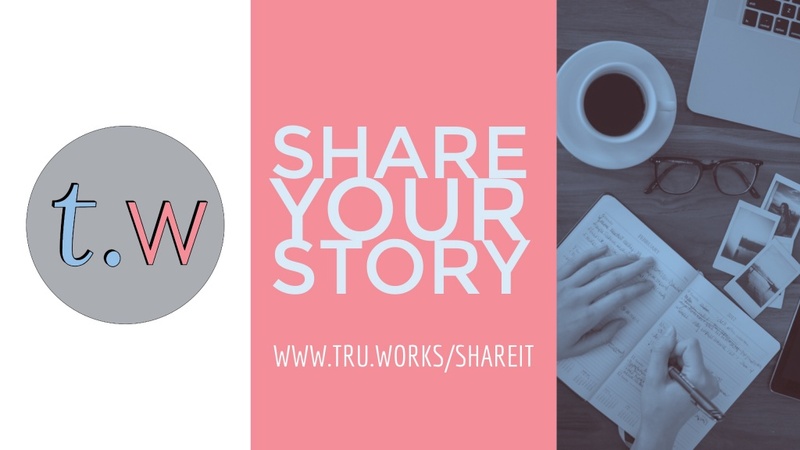 Tru.Works is looking for stories that help others feel like their not alone. Stories that empower others to do more for themselves and continue following their dreams. When you ‘click’ submit you accept these terms. Share your story so that others won’t feel alone.